This Ellis lamp is in the same colour way as a bull we recently sold and is amazing with deep red graduating down to pale vitamin C orange. 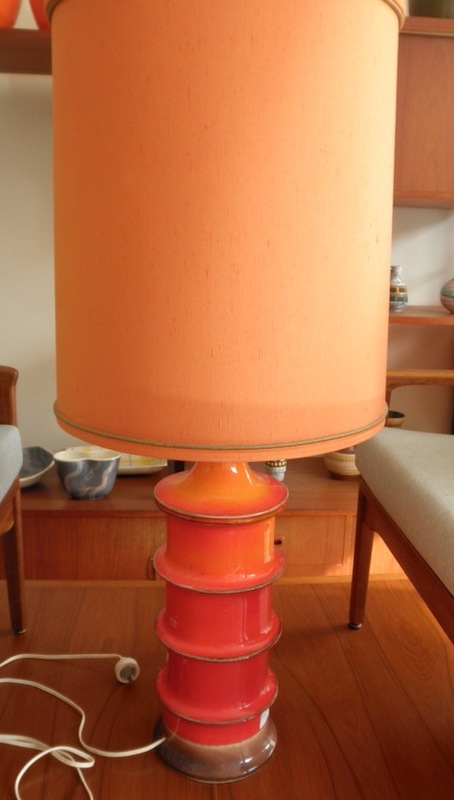 It has it’s original shade and is in great condition. It stands an impressive 102 cm to the top of the shade and the base it’s self is over 52cm. Great for the Ellis ceramics collector or just as an amazing piece or retro lighting. The pictures seem to have washed out a little and don’t quite give the intensity of the actual glaze.